The newly renovated Hong Kong UNESCO Global Geopark Visitor Centre, located in the Lions Nature Education Centre in Sai Kung, will be reopened on February 7 to showcase new exhibits which tell the story of Hong Kong's geology vividly. The Visitor Centre will display two very old iconic types of rock. One of the rocks is a fragment from the Acasta Gneiss, which is the oldest known rock in the world. The other rock is a fragment from the Baijiafen Gneiss, one of the oldest known rocks in China. 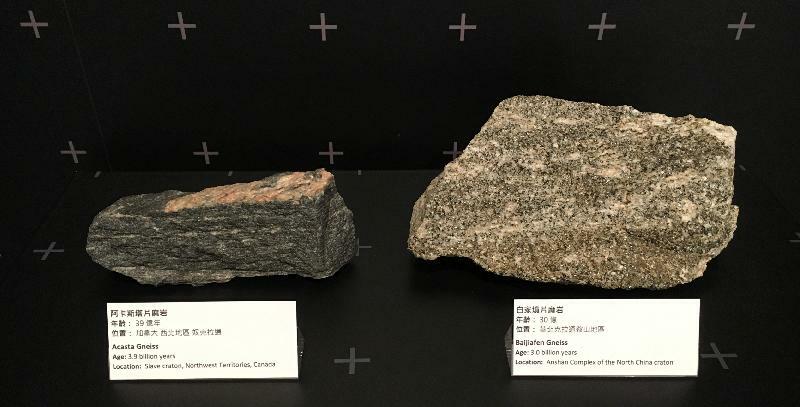 These rocks on display are both gneiss, which is a type of metamorphic rock formed by regional metamorphism at convergent plate boundaries. These valuable rocks are estimated to be 3.9 billion and 3.0 billion years old respectively and can help reflect the conditions on the early surface of the planet. In addition, the Visitor Centre will showcase three sets of newly hand-made 3D miniature models which allow the public to learn about the changes and characteristics of Hong Kong's geology in different dimensions. The models demonstrate the cross sections of various geological characteristics, enabling visitors to understand the processes and patterns in the transformation of the geological features intuitively. The three models will show some of the well-known geological structures in Hong Kong, including the hexagonal rock columns as well as the youngest and oldest outcrops in Hong Kong. 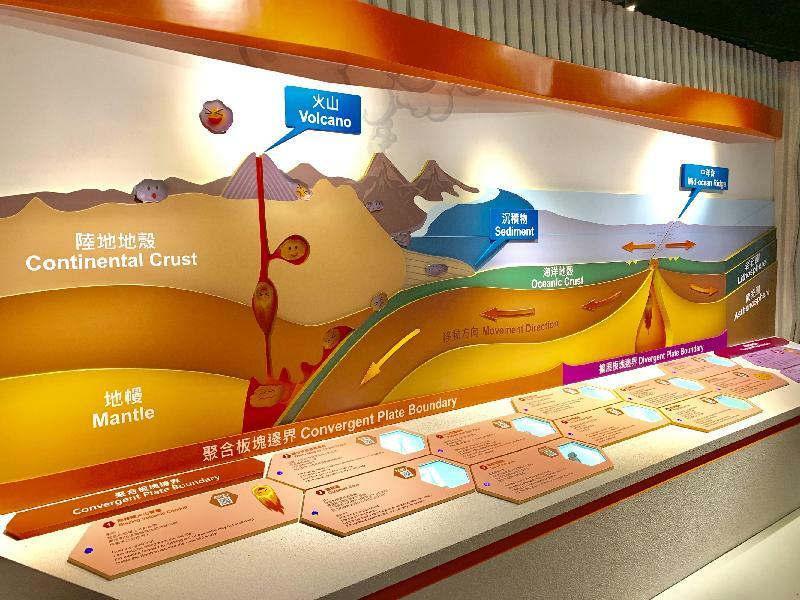 Visitors can also take part in the newly set up interactive display called "The many adventures of magma", which introduces the magma in different parts of the Earth and the rock cycle to enhance the public's understanding about geology. Furthermore, the Visitor Centre will in particular present some historical items used by residents of Sai Kung, reflecting the culture and human history of the Sai Kung volcanic rock region. Visitors can then learn about the intangible culture and traditions of Sai Kung as well as the related stories. For more details on the Visitor Centre, please visit the website: geopark.gov.hk/en_s2d.htm.